Click here to log in to your account today! If you have not used our new Patient Portal service before, please email our staff at drkstaff@ntxeyecare.com to obtain your unique login and password information. 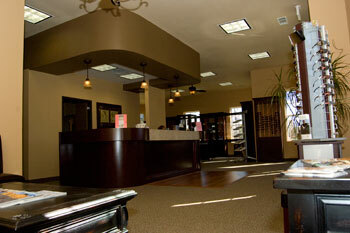 Welcome to North Texas Eye Care! Dr. Gregory B. Kloesel of North Texas Eye Care specializes in the latest methods of vision correction using the most up-to-date specialized equipment. Dr. Kloesel is a therapeutic optometrist and an optometric glaucoma specialist; offering comprehensive eye examination for adults and children; eyeglass, sunglass, and contact lens fittings, diagnois and treatment of eye disease and injury; treatment of red eye, infection, allergy eyes and dry eyes; cataract and LASIK management. Comprehensive eye examination includes: Test for cataracts, glaucoma and macular degeneration, and a prescription for eyeglasses, if needed. Through June 30, 2016, purchase a pair of non-prescription Costa Del Mar sunglasses and recieve two free costa accessories. Purchase a prescription pair of Costa Del Mar Sunglasses and recieve four free costa accessories. Accesories include designer cases, cleaning clothes, hats, koozies, and lanyards. Beginning Friday March 11, 2016, we will be one of the first eye care practices in the nation to test dark adaptaion with the all new AdaptDx (First in the DFW Metroplex). This device can help to detect age-related macular degeneration before any other form of technology. By doing so, we are able to help prevent the progession of the disease before any symptoms manifest. The test will be performed on our current macular degeneration patient base in conjunction with their annual exam. If you experience night vision problems or have a history of retinal disease in your family, you may also request that the test be performed as a screening. If the test confirms pathology, it will be billed to your major medical insurance and further testing will be performed to idenitfy the problem. If the test shows no pathology and is within normal limits it is a nominal $30 cost to the patient. Click here for more information about MacuLogix and AdaptDx. We have started doing Genetics Testing for Macular Degeneration and provide a therapeutic vitamin supplement line to our patients. Please see our supplements page for details on ordering supplements. You can now order supplements & drops on our website with PayPal or a credit card. We now stock the following contact lenses in office: Acuvue TruEye, Acuvue 1-day Oasys, Acuvue 1-week Oasys, and Bausch & Lomb Ultra. Stop by our office to purchase your contact lenses. You can also purchase eyeglass lens cleaner and microfiber cleaning clothes with PayPal or a credit card on our eyeglasses page. ©2015 North Texas Eye Care. All Rights Reserved.